Who doesn’t love a little pampering from time to time?! I can’t think of one woman (or man) who doesn’t love to relax and unwind. 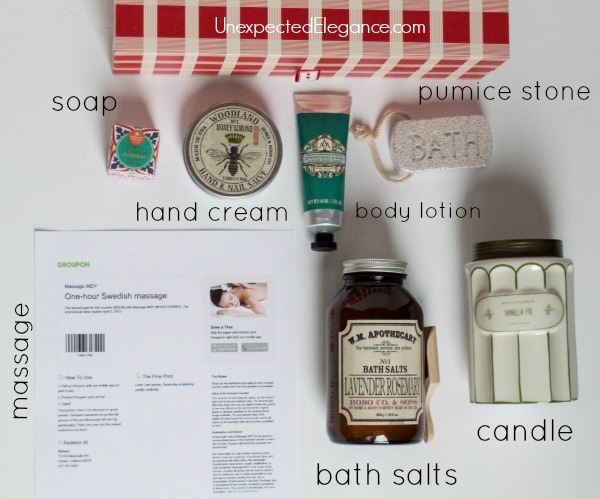 A spa package is a great gift for pretty much anyone…especially those of us with little kids at home. 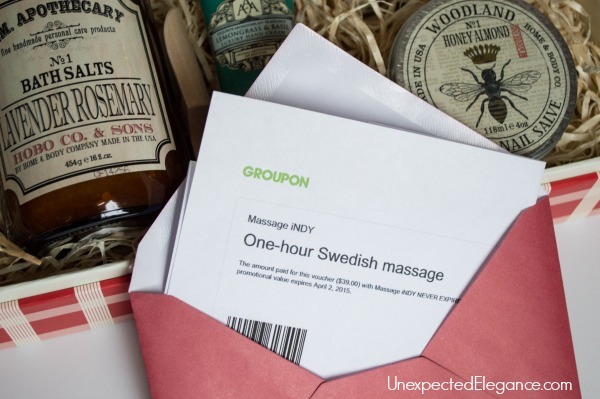 A massage is a MUST for this type of gift and you can almost always find a great selection on Groupon. 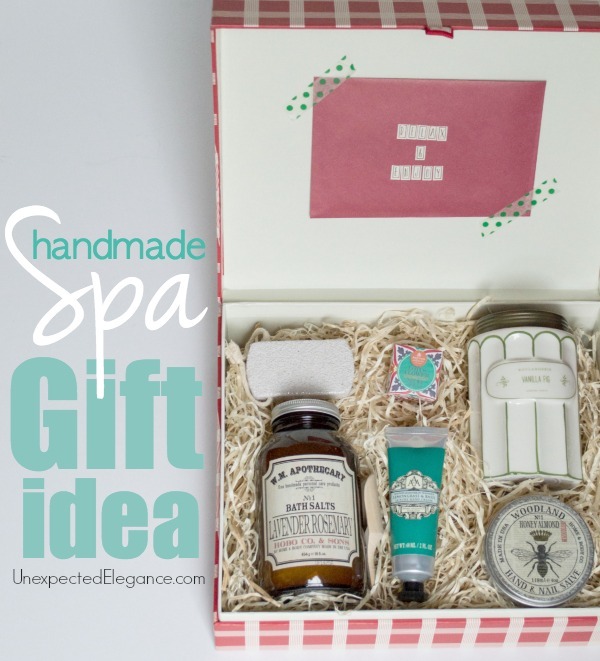 To complete the spa gift idea, purchase a few items to help them relax, like bath salts and a candle. 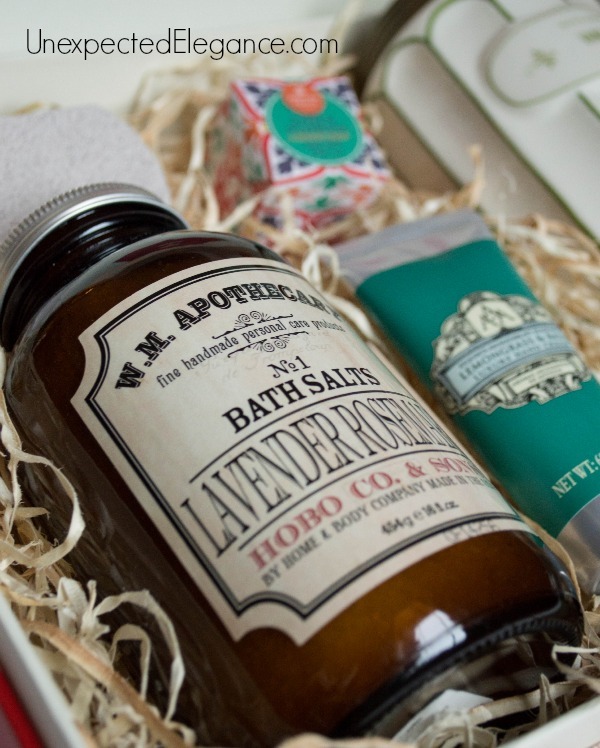 For the items they will use at home, I suggest buying things that you either: know they love, in scents they prefer, or things you like personally. Then get a gift box and fill it with all the items. 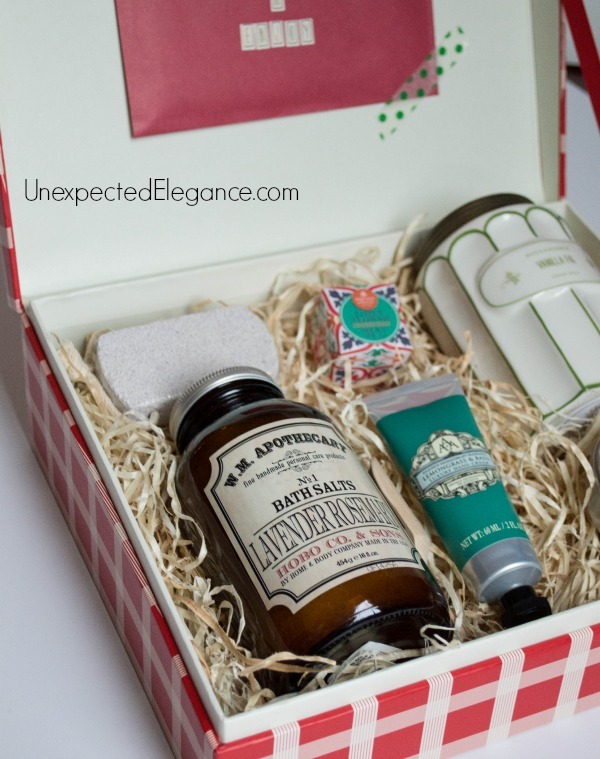 To polish it off, use gift basket filler to help position each item and help them stay in place. 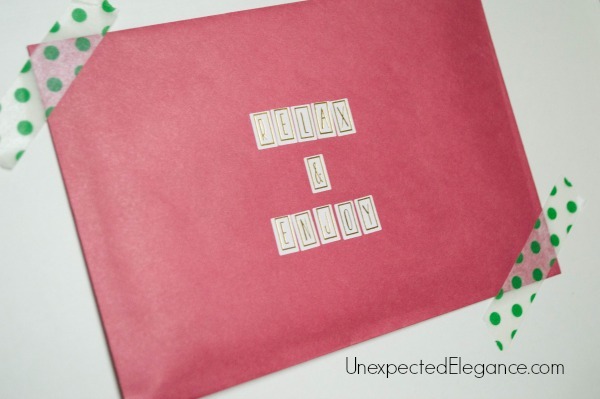 Put the massage certificate into a colorful envelope and attach it to the underside of the box lid. I used washi tape to add some color and hold it in place. I know some of the best gifts are the ones that I would love to get myself, so think outside the box this Christmas and give your loved ones an experience that they will remember! 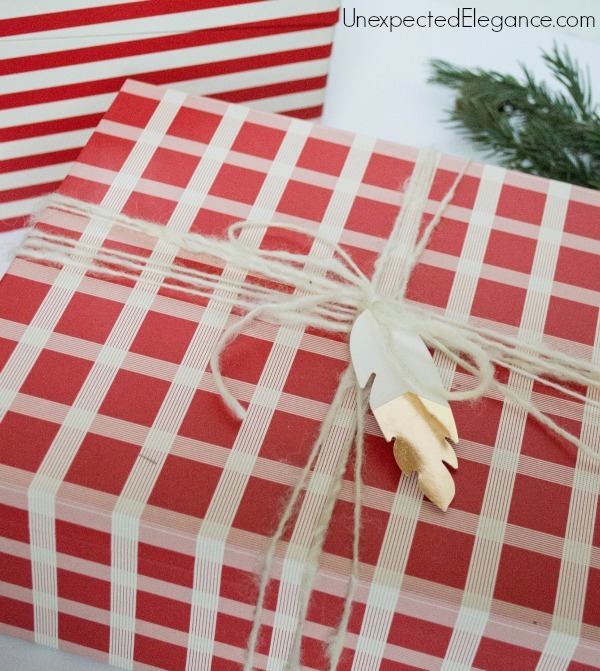 Be sure to visit Groupon for more great gift ideas, special giveaways, and promotions this holiday season and check out some of my other “experience” gift ideas: Wine Tasting Package and Cooking Themed Gift Basket (coming soon! ).